Designed to flatter and fit flawlessly, these fabulous tailored trouser pants are a wardrobe must-have. 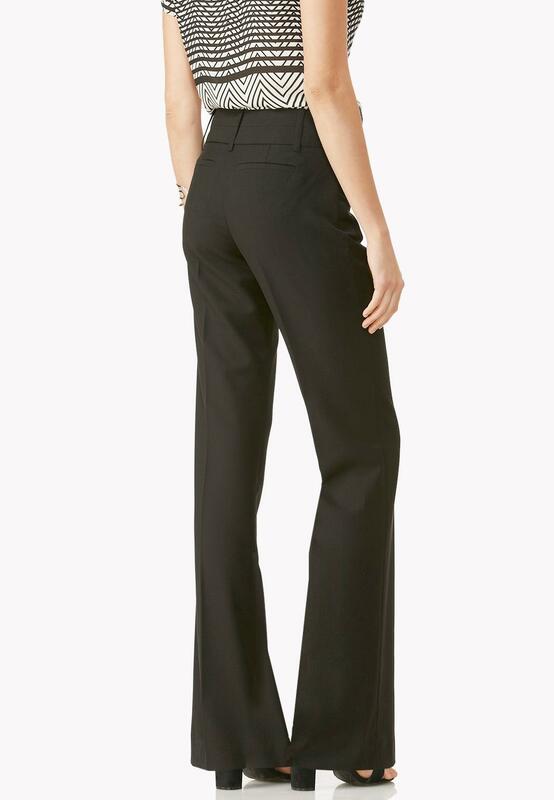 Perfect for work or play, you’ll always look fashionable in these versatile pants. Really like these dress pants. Would buy them in other colors, if available. They wash well, although they do sometime attract a little bit of lint, nothing super serious, though. Plan to buy another pair soon. I got the pair that is on sale. I thought for 3.99 that is the steal of a century! They did not have my normal size so I went up one and I am so glad that I did! They run small. The new black color is s true black. The best purchase I have made for the money in a long time. I gave it 4 stars just because they run small otherwise they are a perfect 5. Love these pants! Want them in more colors please!! Love love love the fit. Please bring these back in more colors in petite. Please!